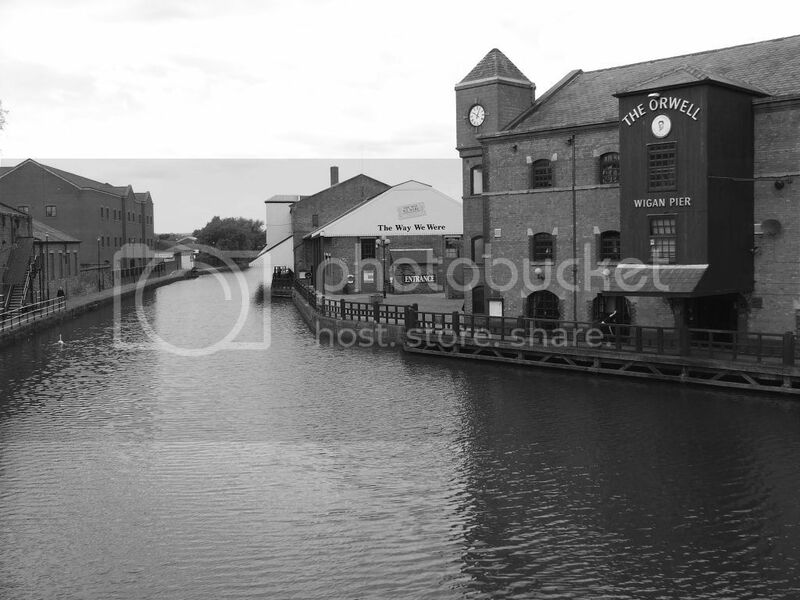 A 35mm film pic taken a few weeks back. 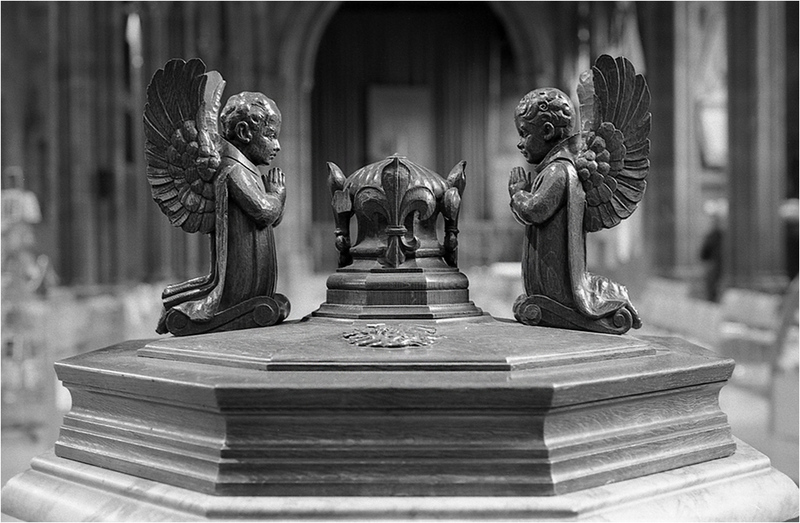 Font cover at MAnchester Cathedral. Oh,I love that last one Oy. Foot Bridge over the River Trent. Nice looking bridge Neil - where is it? It's a few hundred yards from Trent Bridge, Nottingham and close to Trent Bridge Test Cricket ground and Nottingham Forest Football ground, about 1 mile south of the city centre. When a lot of people walk over it together on "match days" it sways a lot. The River Trent at Beeston. Another recent pic shot on film. Medium format this time - 645 format. 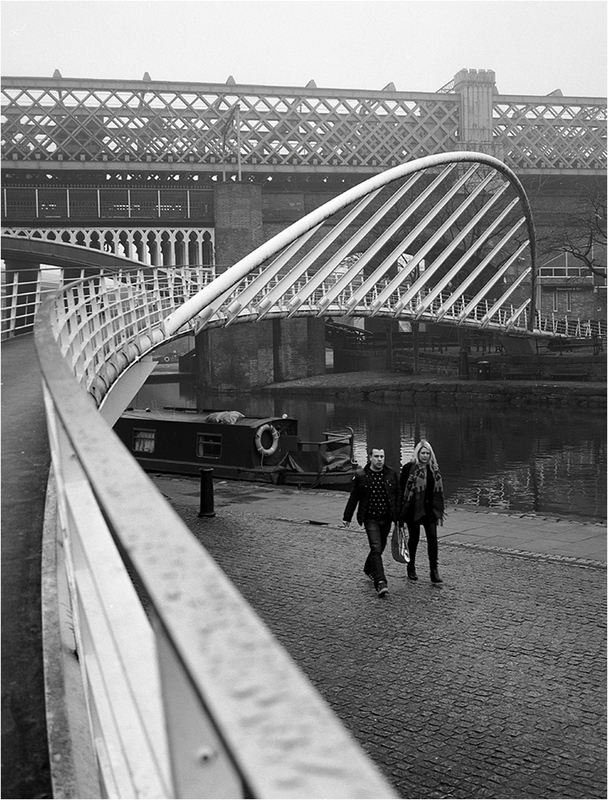 Castlefield Manchester on a foggy Sunday. Lovely match of caption and picture. 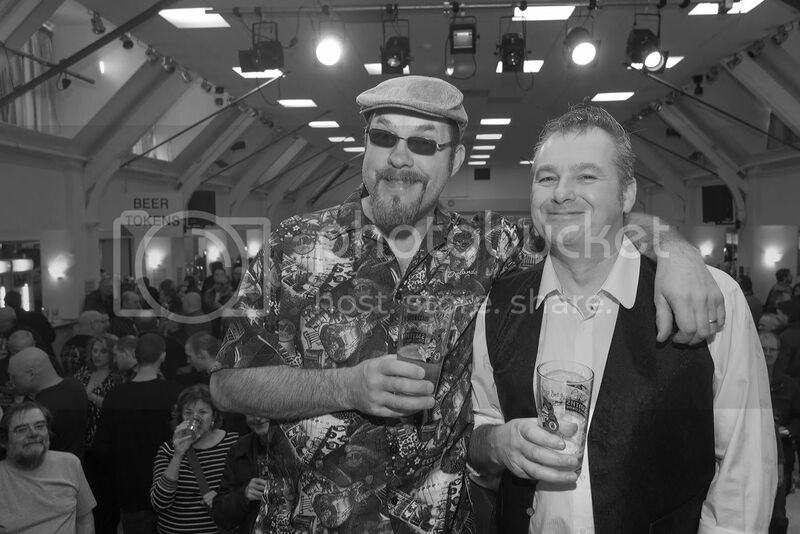 Hera re Tim and Les aka Chonkinfekkle - at the Bent & Bongs Beer Bash at Formby Hall Atherton this afternoon.